Grave Reference: East Extn. Private. Grave 75. 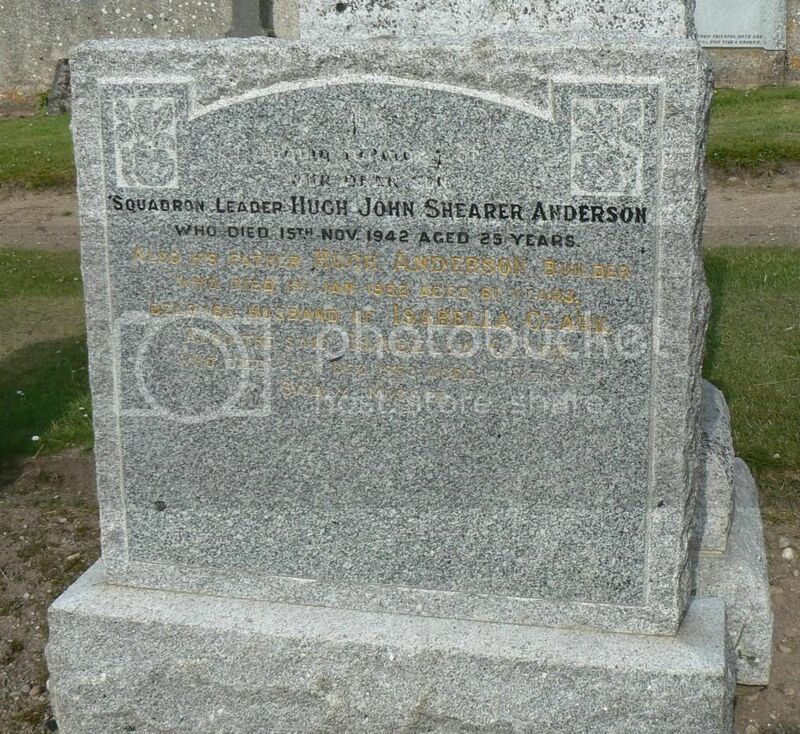 Son of Hugh Shearer Anderson and of Isabella Anderson (nee Clark), of Fochabers; husband of Muriel Georgina Ann Anderson (nee Coningsby). Regiment/Service:Royal Canadian Air Force 427 Sqdn. Grave Reference:East Extn. Grave 353. 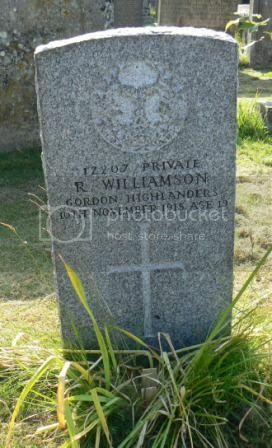 Son of George and Beatrice Cook, of Hillmond, Saskatchewan, Canada. 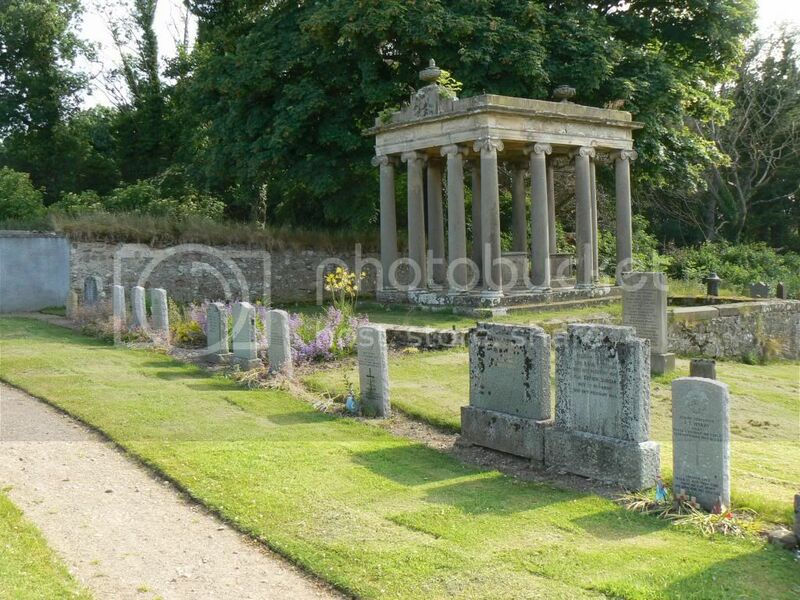 Son of Alexander and Isabella Corser, of Huntly Lane, Fochabers, Scotland. 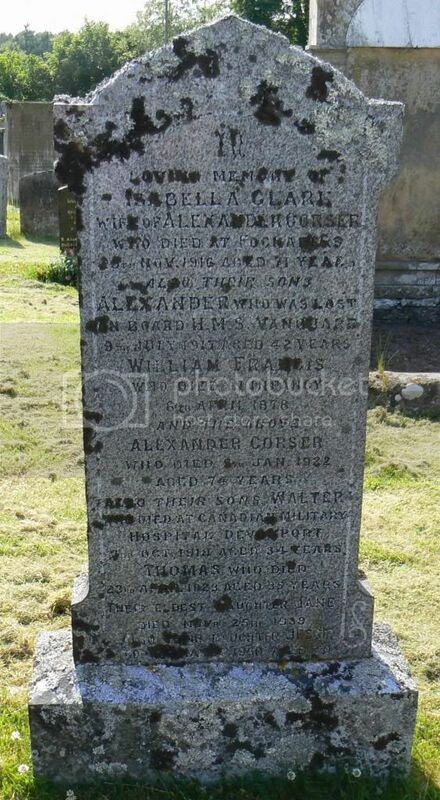 Son of the late Alexander and Isabella Corser, of Keith, Banffshire. Grave Reference:East Extn. Grave 352. 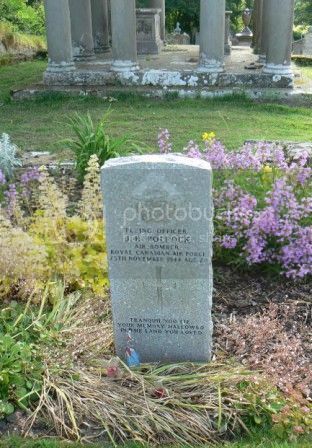 Son of Joseph Phillip and Florence Mary Easterbrook; husband of Joan Daphne Easterbrook, of Chatswood, New South Wales, Australia. Grave Reference:East Extn. Grave 341. 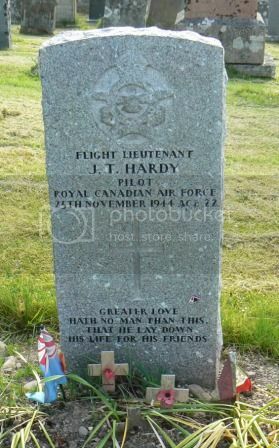 Son of Archibald and Ellen Ann Hardy, of Merritt, British Columbia, Canada. 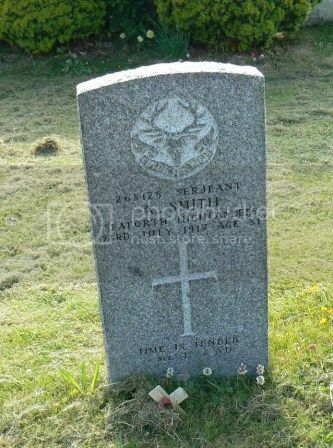 Son of William and Annie McLaren, of Auchenhalrig. Grave Reference:East Extn. Grave 347. 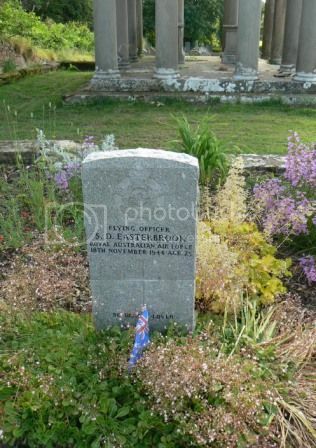 Son of John Sullivan Patterson and Annie Vera Patterson, of La Riviere, Manitoba, Canada. Grave Reference:East Extn. Grave 351. 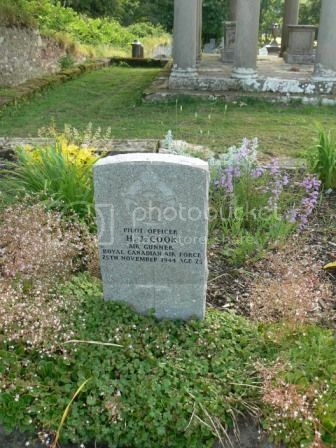 Son of John and Margaret S. Pollock, of Union Bay, British Columbia, Canada. 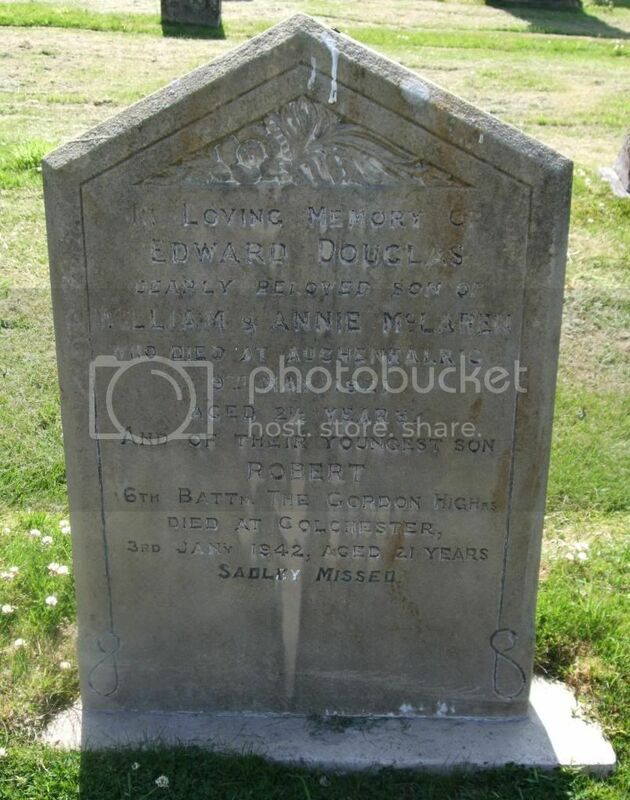 Son of Mr. and Mrs. Smith, of Spey Bay, Morayshire; husband of Isabella Smith, of 7, Hope St., Port Gordon. Grave Reference:East Extn. Grave 345. 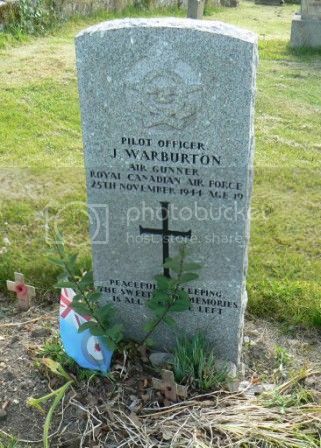 Son of James and E. M. Warburton, of Toronto, Ontario, Canada. 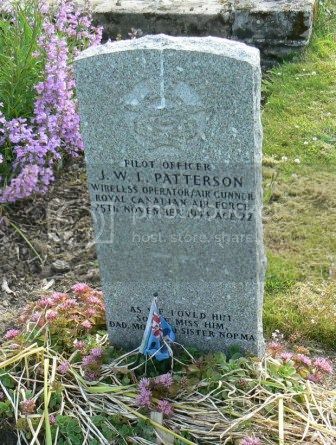 The Canadians (Cook, Hardy, Patterson, Pollock and Warburton) were crew members of a Halifax of 427 Lion Squadron which crashed in the sea near Kingston, Moray when returning from mine laying. 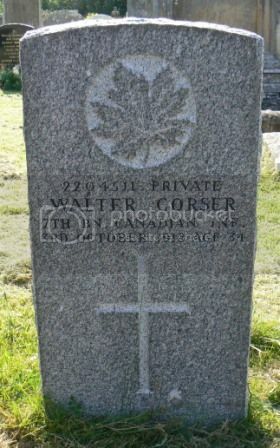 Howard John Cook and another crew member, Stanley George Hall (who was buried near his birthplace in Essex) are listed on the Saskatchewan Virtual War Memorial. Grave ReferenceSec. K. Grave 14503. Son of Mathew and Margaret Jane Rowntree, of North Shields; husband of Jane Burton Rowntree, of North Shields. 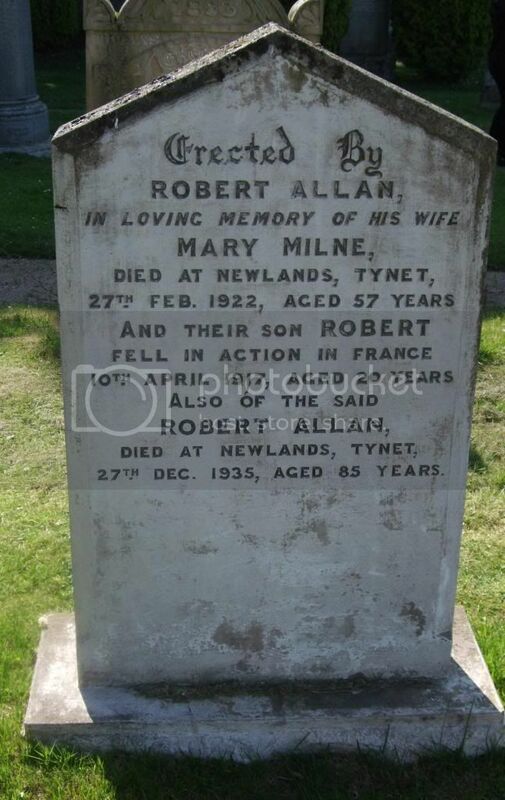 Son of Mr. and Mrs. R. Allan,: of Newlands, Tynet, Port Gordon, Banffshire.